Whether you run a small business, a chain store, or a construction site, one thing runs common – you simply can’t be everywhere at the same time. All of these require a large amount of staff to run the operation, but there’s one key role that is essential to ensure that everything runs smoothly – the security. And while you may have security staff running matters in-store or on-site during the day, what happens at night when personnel retire home for the evening? 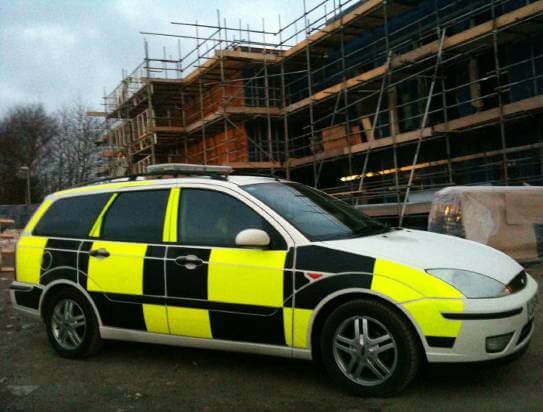 ACES Security Leeds can provide enthusiastic and talented staff to man and patrol both construction or building sites and car parks at unmanned hours and times where standard security patrols may not be present to attend. Our staff are happy and able to work alone during unsociable hours and are great at spotting irregularities, handling any potential trouble and keeping a close watch on any particularly sensitive areas. Car parks are particularly sensitive at night as they are wide open spaces subject to would-be vandals or thieves – and the same will go for building and construction sites. In our opinion, an alarm can only do so much! Ask yourself how much your business, store or firm could benefit from a more close protection – having one or more site security staff patrolling and protecting your space at sensitive hours, with the skills, aptitude and passion to ensure that any would-be troublemakers are dealt with efficiently and correctly. Best of all, you’re worry and stress-free – our staff are fully vetted and expertly trained, meaning that you and your staff will be free to go home at night without fear of your site or store being at the mercy of robbery or vandalism.